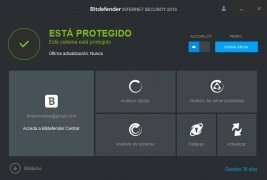 Every year computer security companies have to face up against new challenges that oblige them to improve their products to adapt and deal with them appropriately. 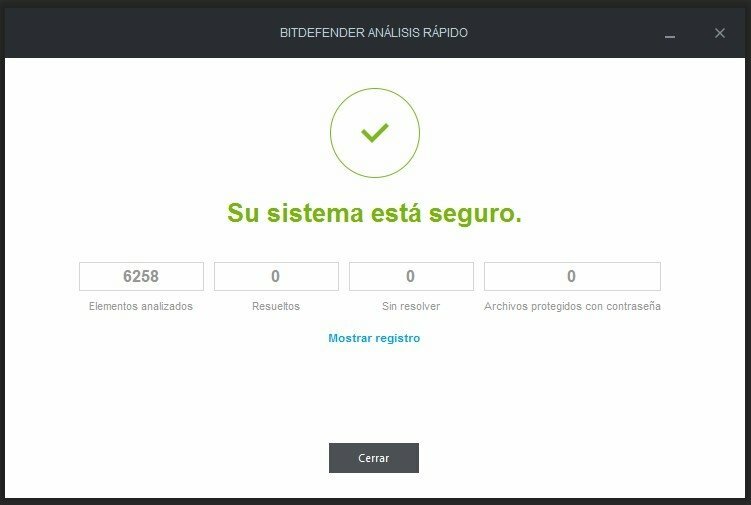 In this field, Softwin has been successfully developing its products within the Bitdefender range for years. 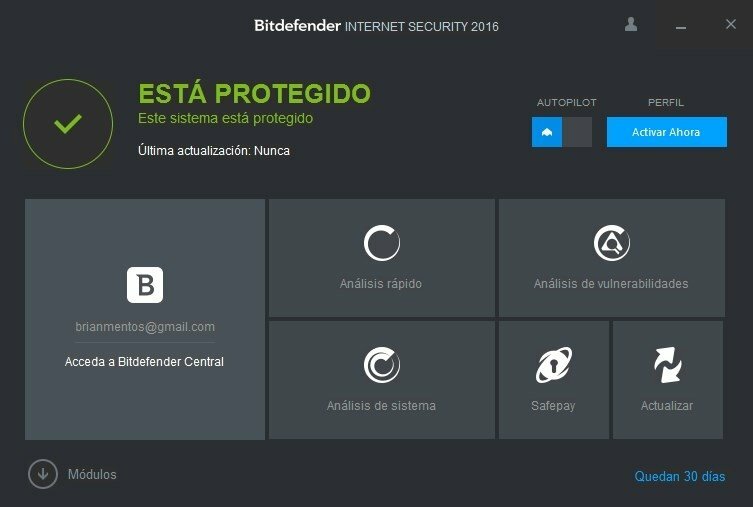 The online security solution you were looking for. Protection: from where the user can carry out quick or detailed analyses with the possibility to configure different aspects regarding security, such as anti-spam, anti-ransomware or anti-intrusion protection. 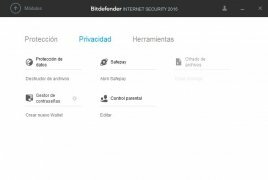 Privacy: regarding privacy it offers us the possibility to manage passwords in a totally secure manner, make safe payments as well as to establish parental control for Internet access. 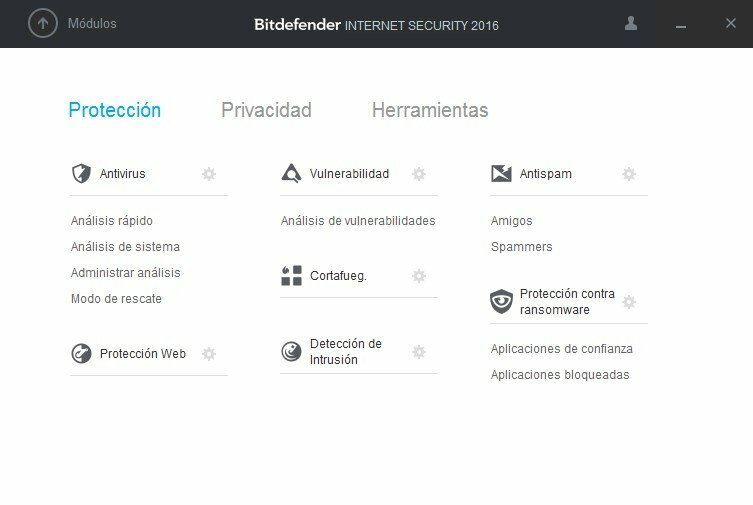 Tools: from the Tools panel you can configure aspects such as user profiles (protection adapted to the use given to the PC), as well as aspects such as antitheft protection (interesting in the case of a laptop) or computer optimization. 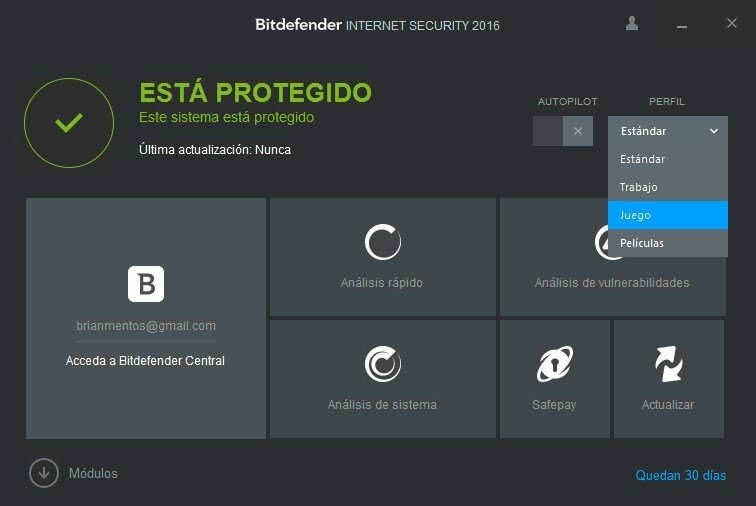 The previously described options can be found in the Modules section, which is recommendable to be visited the very first time we use this program to configure it correctly. 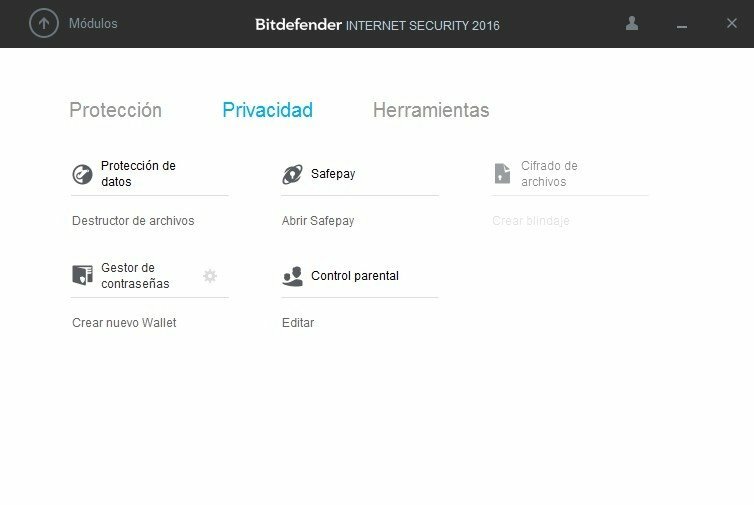 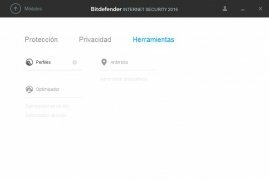 Once carried out, we'll usually need the main interface to control the different functions of Bitdefender, since it offers quick access to the most common actions. 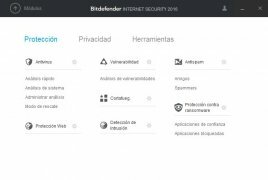 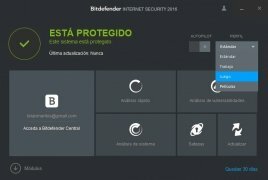 All in all, Bitdefender Internet Security offers us all the online protection we could possibly need nowadays: protection against the different dangers that lurk on the Internet and computer optimization to be able to perform better. This download requires an Internet to complete the installation.